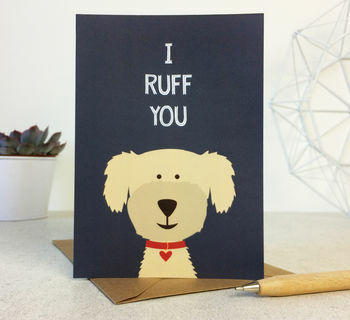 Who do you ruff? 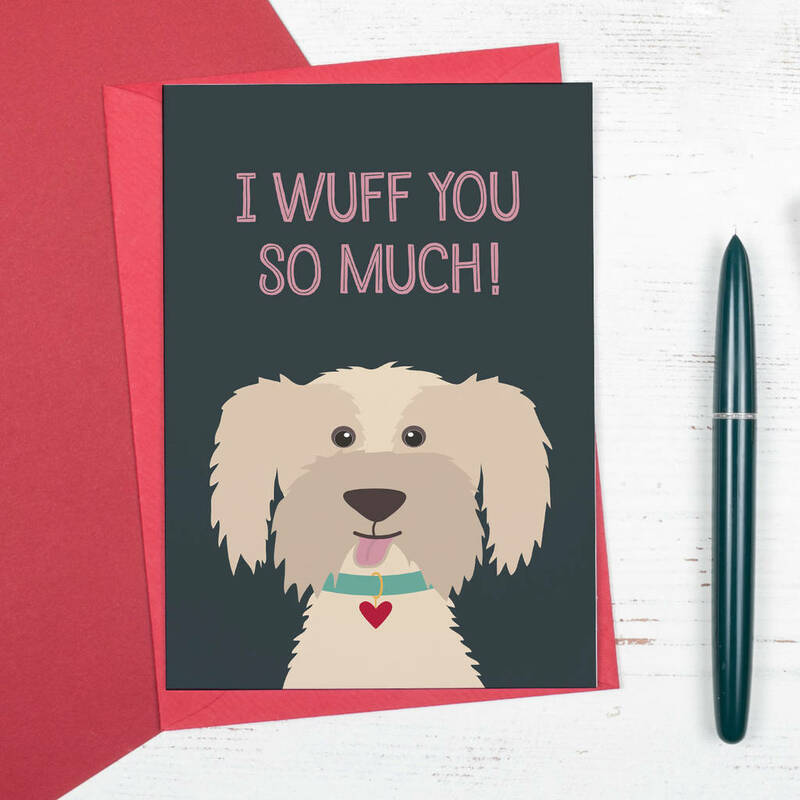 This cute and funny dog card will make the special person in your life laugh. Perfect for Anniversaries or Valentines day! 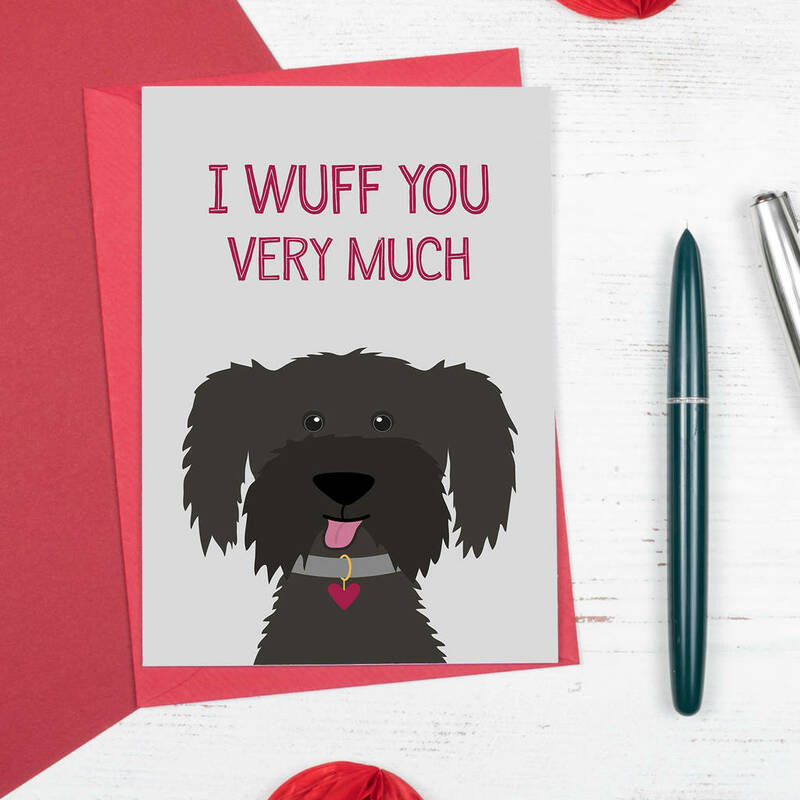 Beautifully illustrated dog Anniversary / Valentines cards - great for a boyfriend, girlfriend, wife or husband, or secret crush! 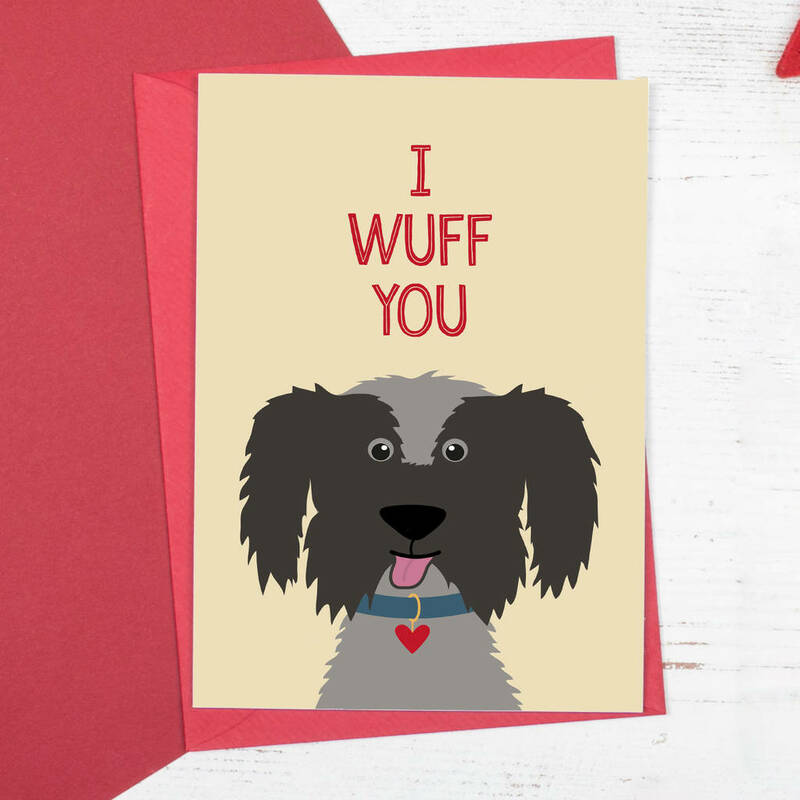 Makes an ideal card for dog lovers too. The card comes with a quality envelope and is sent in a protective, sturdy card-backed envelope. 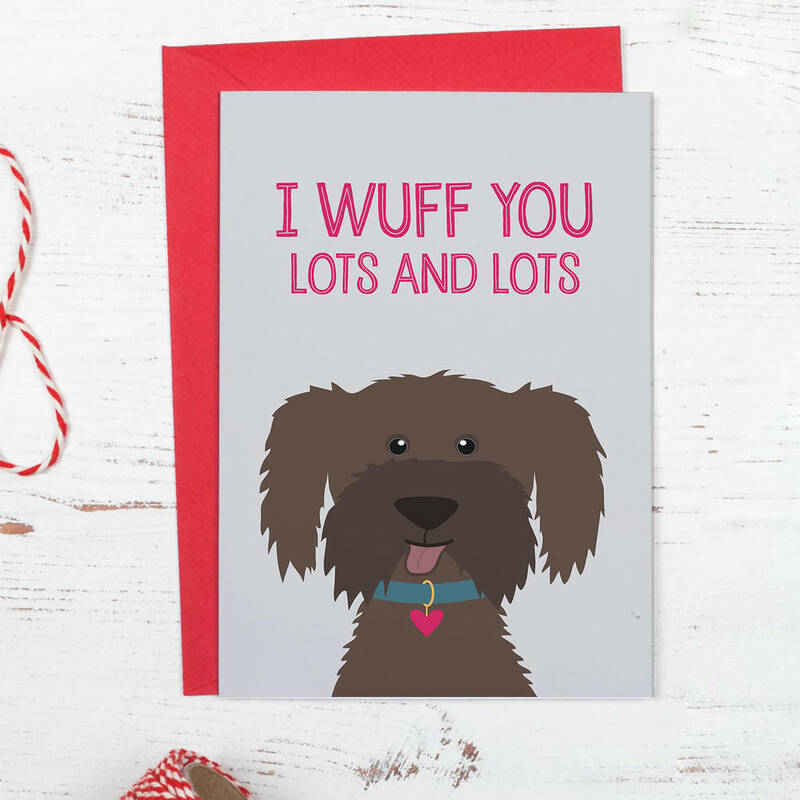 These cards are just some of the fun designs available from the Wink Design Animal Card Range. Professionally printed high quality card, with matching envelope. Designed and printed in the UK.